Join Seams the LESS Way! I love the look of bold, graphic quilt-inspired crocheted afghans and there is a great one on the cover of the December issue. Perfect for the holiday season, the Christmas Star Throw is a great project for hours of easy stitching. Each two-color square is started at one point and increased to the center where the next color is joined and decreased to the opposite point. Four totally white squares are added to the two-color blocks to complete the afghan. What gives this dramatic throw its bold look is in the finishing. But this also makes the throw a little bit more of a challenging project. Take it slow and pay attention to the details and you’ll be able to complete this project perfectly. Once each block is crocheted, you add a single crocheted edge making sure the stitch count is the same for each block; an important step to make sure all the blocks go together beautifully! Designer, Deb Arch, provides a little trick to help with this. The blocks are then joined using a new seaming technique that makes all the difference in the finishing of this stunning throw. Designer Deb Arch, always one to come up with new innovative techniques, has once again found the perfect solution! 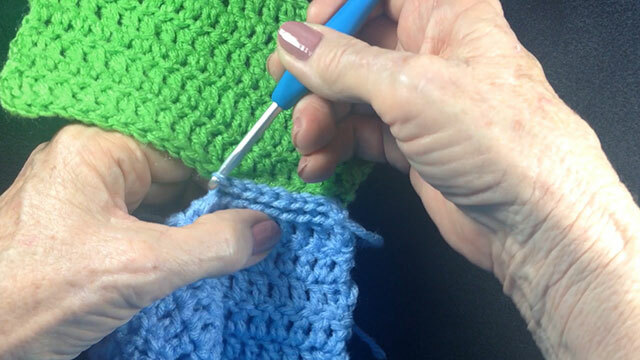 Her Layered Edge Slip Stitch or LESS seaming technique is not only the perfect choice for this afghan, but I bet you will find yourself using this technique to join other motifs as well. Watch the tutorial video here and add this one to your arsenal of crochet techniques for future projects! 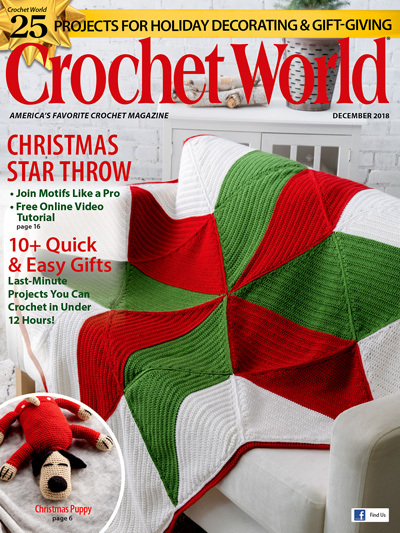 Get the December issue with the Christmas Star Throw and over 24 other great projects for gift-giving and holiday decorating at your favorite craft or book store or order it here.